The 2016 convention is creeping ever closer – have you booked your hotel yet? This year the Brighton Tattoo Convention falls on the April bank holiday weekend, so sunny Brighton is sure to be busy! Get ahead of the game and book your hotel now. We always recommend that visitors to the Convention stay in town, to make the most of the parties and events we’ve got going on and experience the best of Brighton restaurants and night life. Check out our list of events here – more being added all the time. 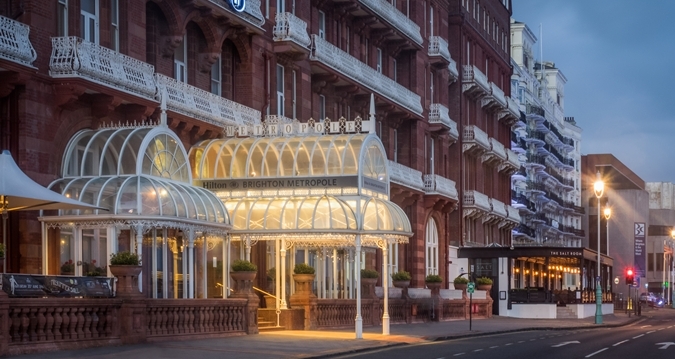 With the help of the Brighton tourist board, we’ve got in touch with some of the best hotels in town and secured special convention rates for the weekend. Hurry though – there are limited spaces! If you plan to book to stay at The Hilton, check out the codes below, kindly supplied just for us, and reserve online for the best rates. Click here for 4 hotels with discounts created especially for Brighton Tattoo Convention. Click here for another code from VisitBrighton.com, another 15 hotels that have spaces at various rates. Get in quick though! There are lots of other choices if you’ve missed the boat with these offers – check out Air B&B, VisitBrighton.com, Trip Advisor, and LateRooms.com etc! Still not booked your ticket for the convention itself? Join us at BTC9 – get tickets here.